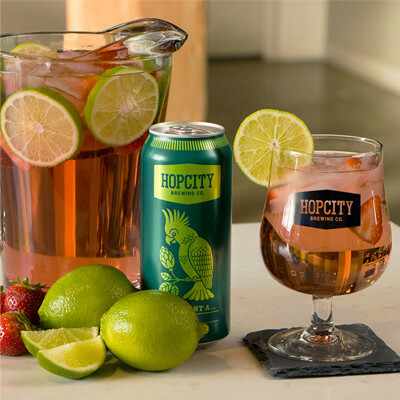 We know the holidays can be hectic so we’ve put together three of our favourite Hop City Holiday Hacks for the season! To kick things off, let us introduce your next holiday party MVP, Polly Punch. Festive and refreshing this fool proof punch is a guaranteed crowd pleaser. In a bowl add the strawberries, blueberries, sugar, grenadine, and lime juice. Stir to dissolve as much sugar as possible. Cover and refrigerate for at least 1 hour, stirring a couple of times to agitate and help create juices. When ready to serve, pour in the beer give a gentle stir to combine. Cheers! Not sure what to serve at your next party? 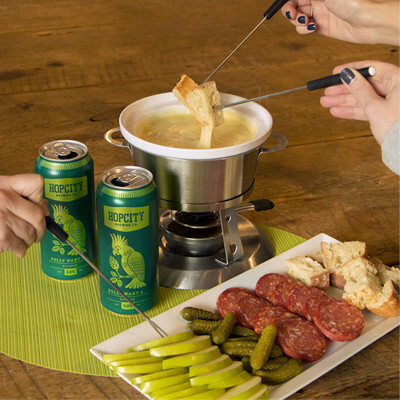 Make your own pilsner cheese fondue! It’s simple, delicious, and beer and cheese are sure to please. 1. Toss shredded cheddar in cornstarch, chili powder, paprika, cayenne, and mustard powder set aside. 2. Heat butter in frying pan, then sauté garlic and shallots for 5 minutes. Be careful they do not brown or burn. 3. Add the pilsner and Worcestershire sauce. Heat until simmering. 4. Add the cheese, a little at a time until it’s all melted and stir to combine. 5. Pour mixture into your chosen fondue pot and light according to your manufacturer’s instructions. 6. Dip apples, sausage, bread and more. Enjoy! 1. Pour Caesar Rim Trimmer into a saucer. Rim two glasses with a lime wedge. Dip rims into Trimmer and twist to coat evenly. 2. Fill glasses with ice. 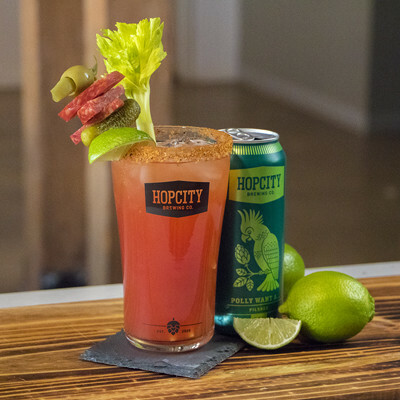 Divide beer between glasses, then pour in Clamato juice. 3. Shake in dashes of hot sauce and Worcestershire sauce. 4. Grind Pepper over top and garnish with lime wedges.